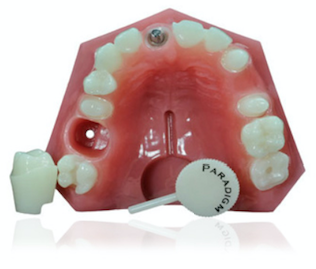 Paradigm offers the dental professionals a wide variety of high quality custom made dental models, dental molds and related dental supplies and accessories, at reasonable and competitive prices. 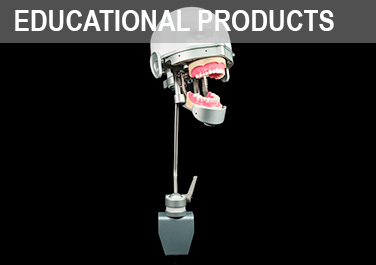 Our entire product line is a result of custom dental products fabricated for our many national and worldwide customers. Our design capability is extensive. We offer one stop shopping for the dental community, general practitioners and all specialties plus implant companies, universities, teaching institutions and laboratories. Paradigm Dental Models is complemented by a full service dental laboratory and a prototyping shop, located in San Diego, California. Among its customers, Paradigm includes most major implant and orthodontic companies. The dental model configurations and restorations are intended for use in dental education, demonstration, as visual or sales aides and do not represent Paradigm Dental Models endorsement, recommendation or prescription for their practical use in clinical applications.